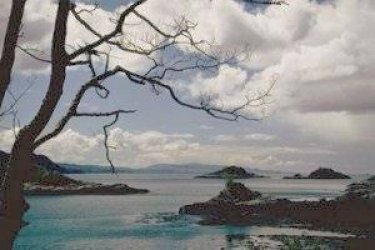 Guanacaste is famous for its spectacular beaches in the Pacific coast with more than 125 miles of extension. The beaches of Guanacaste are blessed by the good climate and their crystalline waters. To fish, to swim, to dive, surf or alone to take sun those are some of the so many things that the tourists can do. The visitors can also eat delicious sea food picked up by the local fishermen and enjoy them in a dinner under a starry sky, or simply in a lunch with a reconfortant breeze. 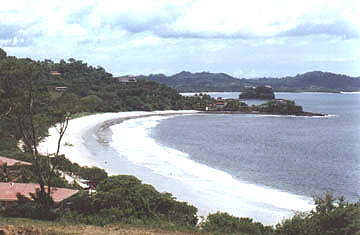 Address:25 km from Liberia, Papagayo Gulf. Cove, about 500 m long. A small estuary marks the southern end and wooded areas extend toward Punta Flor. 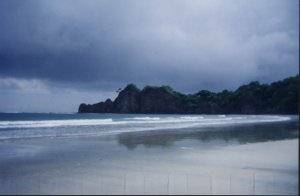 Address: 2.3 km from the city of Liberia, Papagayo Gulf. Belongs to the Papagayo tourism development area. Its bay offers a half moon shaped beach, silvery grayish sands, a length of 2.5 km with an estuary and mangrove. Address: 10 km north of Coco Beaches. 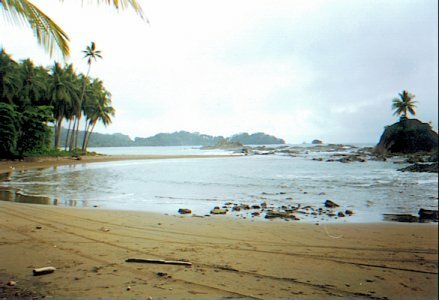 Two points (Cacique and Ballena) flank this bay with a 1.500 m long beach. Sands are silvery gray and swell is soft, trimmed by seaboard vegetation and a beautiful coastal scenery. Ideal for bathing, sports fishing, snorkeling, scuba diving, and more. 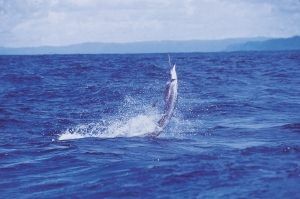 Address: 36 km from the city of Liberia, Guanacaste. Dark sand beach a little more than 1 km long, with strong swell, most suitable for surfing. Address: 3 km south of Coco Beach. 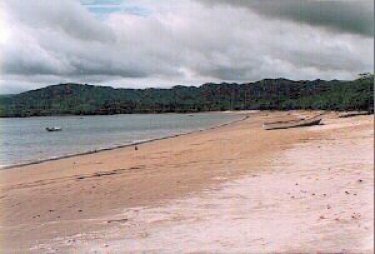 White and gray sand beach, 600 m long with soft swell. 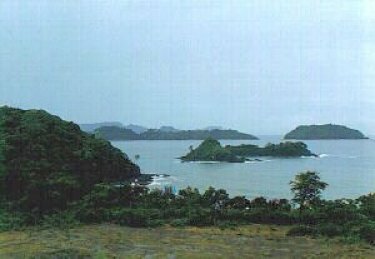 The surrounding landscape of hillocks and low ridges, cliffs, and the Ocotal rocky isle in the southern end is very attractive. Address: 75 km of the city of Santa Cruz, Guanacaste. 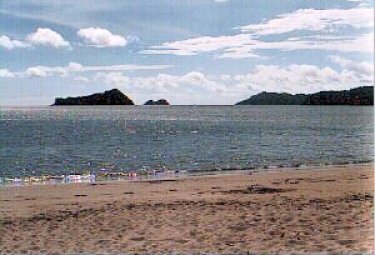 Small gray sand beach (less than 500 m) Santa Catalina and Plata islands can be observed from its shore. Appropriate for bathing, snorkeling, and diving in the rocky areas located at both ends. 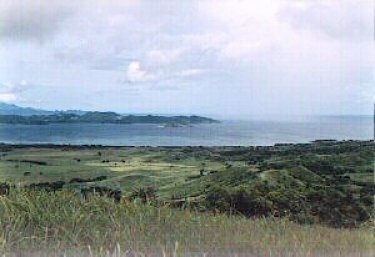 Address: 55 km NE of Santa-Cruz, Guanacaste. 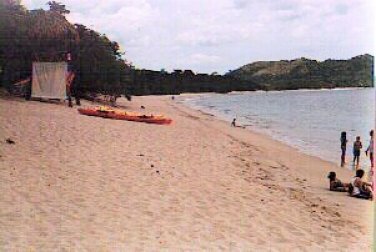 This 4.5 km long bay has calm waters, abundant fish, and semi-white sands. 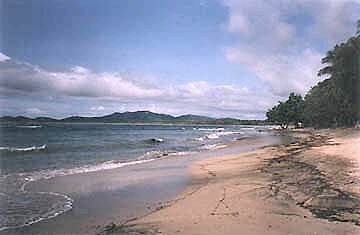 Address: In the North Pacific, 1.15 hour from the city of Liberia, Guanacaste. A black sand beach about 1 km long. The area thrives with tourism activities, a variety of hotels, shops, restaurants, and the like. A place for fishing, snorkeling, kayaking, and other water sports. Address: 55 km NW of the city of Santa Cruz, Guanacaste. Silvery grayish sand beach a little more than 2 km long with moderate swell appropriate for bathing. Address: 2 km south of Brasilito Beach. Approx. 500 m long. This beach is a sandless, strong swell, natural sea shell deposit. Ideal for diving, jet ski, boating, and other water sports. Address: 45 km west of the city of Santa Cruz, Guanacaste. Its name describes the broadness and close to 3 km length of this beach. 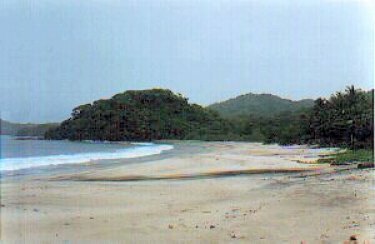 This beach is part of Las Baulas National Park and one of the most important sites in the world for nesting, egg laying and hatching of the Baula (Leatherback) turtle. Due to its swell, this beach is a favorite among surfers. Address: 1 km south of Grande Beach, Guanacaste. Brownish sand beach 2 km long, a favorite of surfers who have several options to practice this water sport. 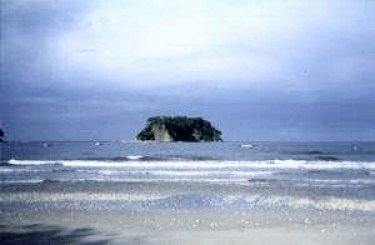 The landscape is very beautiful and varied with the estuary and Grande Beach in the north and San Francisco Point and Capitdn island in the south. 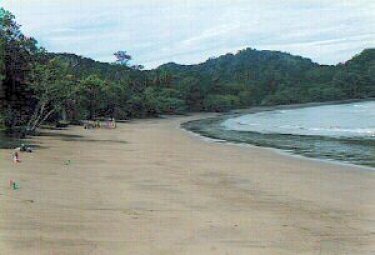 Address: 2 km south of Tamarindo Beach, Guanacaste. 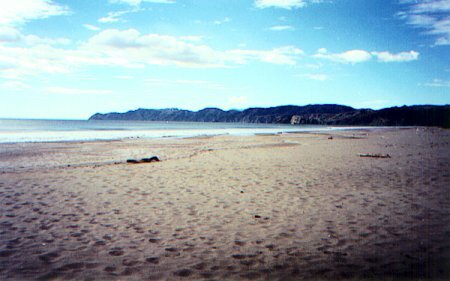 Brownish sand beach stretches southeastward for 3 km. The coast is very rocky, yet pleasant for watching and walks to San Francisco Estuary. Surfers visit Langosta beach a lot. Address: 40 km west of the city of Santa Cruz, Guanacaste. Brownish sand beach 2 km long with a rocky coast, particularly in the south end. The sea has a strong swell, adequate for surfing and bathing under some precautions. Address: 26 km west of the city of Santa Cruz, Guanacaste. 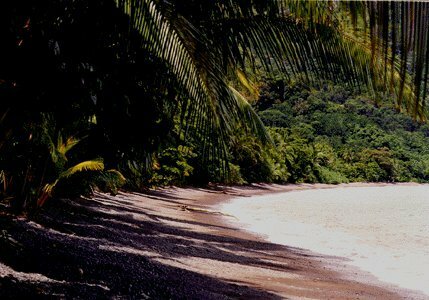 Beautiful beach with cristal clear waters, fine sands and varied vegetation; easy access on a year round passable gravel road. 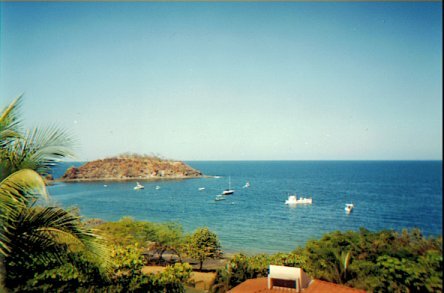 Address: 25 km from Samara Beach, Guanacaste. Ideal camping area, with drinking water service. Tropical paradise of flora and fauna within a cluster of beaches separated from each other by rocks and soil. Address: 36 km SW of the city of Nicoya, Guanacaste. Silvery grayish sands 5 km long. Seaboard vegetation highlighted by a giant “matapalo” tree-killer vine, single one in the country. Scenic beauty, character of the sea, and existing services make this beach a very sought for destination by tourists. 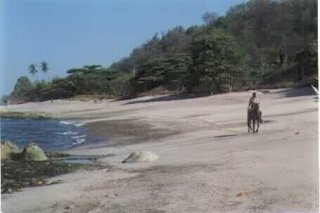 Address: 7 km south of Samara Beach, Guanacaste. 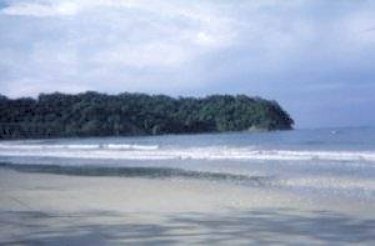 This almost 3 km, silvery grayish, sandy beach is a horseshoe shaped bay with seaboard vegetation and a coconut grove in its southern end. Address: South of Carrillo Beach, Nicoya, Guanacaste. Beach 5 km long forming one single beach with adjacent San Miguel (3 km), the two only separated by the in-between Jabilla estuary which has also an extensive mangrove. The coast is open and wide stretching out to the Coyote River estuary. Beach suitable for walks, bathing, horseback riding, surfing, and nature observation. 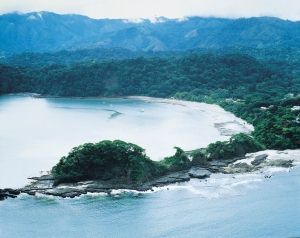 Address: 12 km SW of Cóbano Village, Puntarenas. This beach has a very irregular and rocky seaboard with coves, inlets, points, platforms, rocks, crags, crevices, and very attractive tidal puddles and pools. 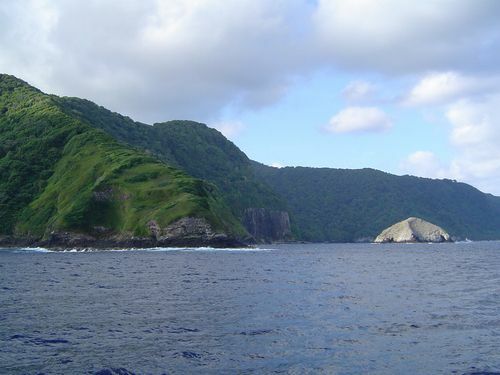 The most beautiful scenic part is in the south due to its proximity with the Cabo Blanco Absolute Nature Reserve.